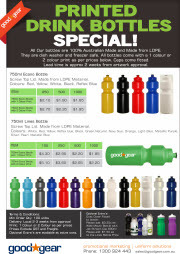 Here at Goodgear we provide one of the largest ranges of Australian Made Printed drink bottles on the Central coast. 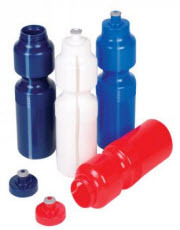 Our drink bottles are happily fitted with screw top caps, Flip top Caps, Standard Wide Mouth and Jet Stream Caps for full versatility. Our plastic drink bottles are safe from BPA and are made from LDPE. They are dishwasher and freezer safe so you can be sure they last a long time. The printing methods used on our printed sportsbottles use the most modern printing techniques and we use environmentally safe inks on most bottles in this range as well as standard long lasting inks. What sort of events would drinkbottles be effective? 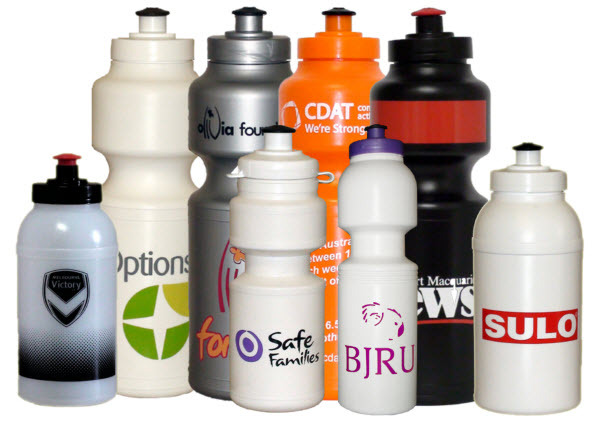 There are so many events you could use drink bottles at due to the fact that they are such a popular promotional item they will be reused by the whole family.